In the world of football, there is no place for superstitions. But there are some coincidences that we find and like to believe in. Sometimes history repeats itself and sometimes it does not. Yet it is a whole new dimension. When we look at World Cup winners being eliminated in the group stages, there is a part of us telling that it could be a curse. Another interesting fact comes with regards to El Clasico and the UEFA Champions League. The last five Champions League titles have been shared between Real Madrid and Barcelona, with Madrid winning four out of them. It is an amazing coincidence that while one of them goes on to win the first El Clasico of the season the other wins the Champions League. So, coincidences do exist. 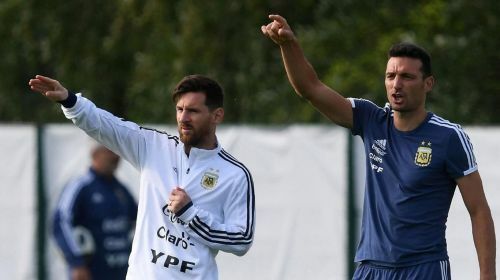 While reading up the football news today, you might have looked at Lionel Scaloni's possible appointment as permanent Argentina coach. Thus like any fan, I wondered. Will this man be able to help Lionel Messi to win an international trophy? Then, I looked at some astonishing coincidences between Ronaldo's first title with Portugal. Here are five coincidences between Portugal's road to winning Ronaldo's first title and Argentina's road to Copa America 2019. This is by no means stating that Argentina will win or are favorites for the Copa America. And neither is this a comparison between both teams or players, it is just some facts that are almost identical. In 2014, Argentina reached the finals of the World Cup with Messi being named their best player. However, Cristiano Ronaldo and Portugal were bundled out in the group stages following a defeat to Germany, a draw and a win against Ghana. However, Portugal came out on top in their next big competition which was the Euro 2016. Portugal proceeded as one of the 4 best third-placed teams and went on to defeat Croatia, Poland, Wales, and France to lift the Euro 2016. It was Cristiano Ronaldo's first and till now the only international trophy. Similar to the Portuguese, the Albiceleste had a poor World Cup. Interestingly they had the same result as Portugal in the group stages. A draw, a loss, and a win. 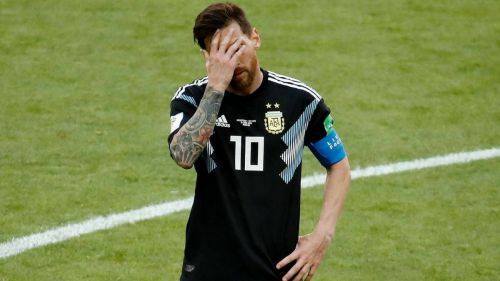 The only difference being that Argentina proceeded to the Round of 16, where they were bundled out by eventual winners, France. To add to it, both were hammered the teams which were the respective finalists in the World Cup. Argentina lost 3-0 to Croatia and Portugal lost 4-0 to Germany. So, is there a chance?